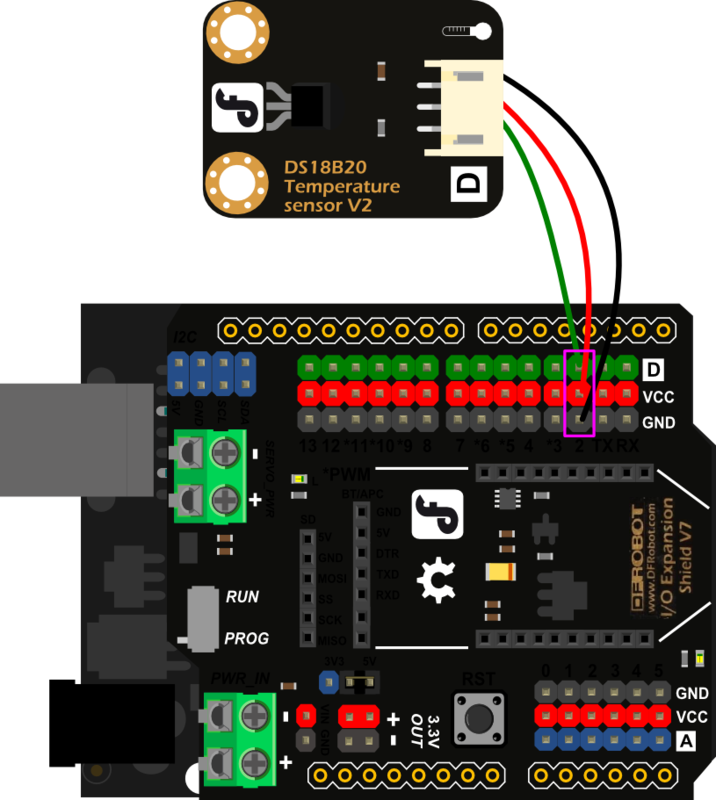 DS18B20 is a digital temperature sensor which is from DALLAS U.S. It can be used to quantify the environmental temperature testing. The temperature range -55 ~ 125 ℃, the inherent temperature resolution of 0.5 ℃, support multi-point networking mesh. Three DS18B20 can deloyed on three lines, to achieve multi-point temperature measurement. It has a 9-12 bit serial output. Get DS18B20 Temerature Sensor (Arduino Compatible) V2 SKU:DFR0024 from DFRobot Store or DFRobot Distributor.